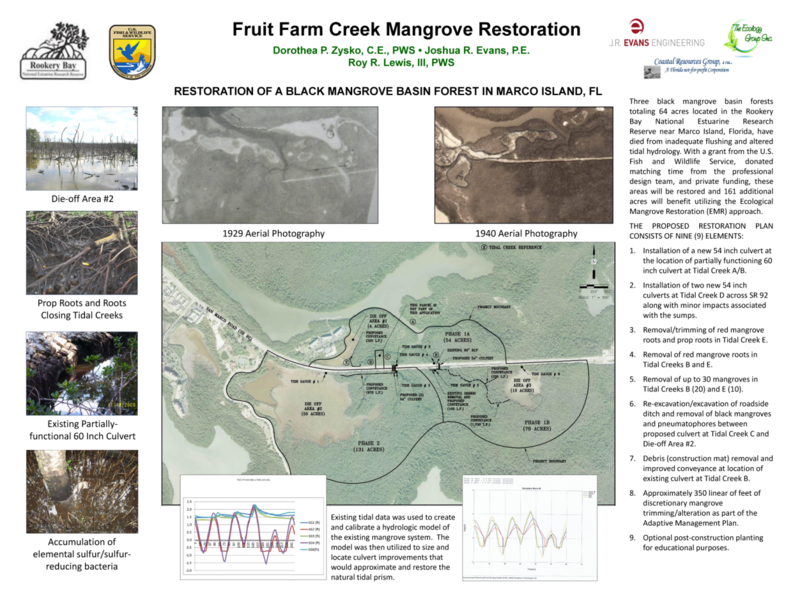 In 1938 construction of SR 92 blocked natural tidal flow and drainage through Fruit Farm Creek flooding acres of black mangroves. Mangroves grow in intertidal zones but drown when submerged for long periods. 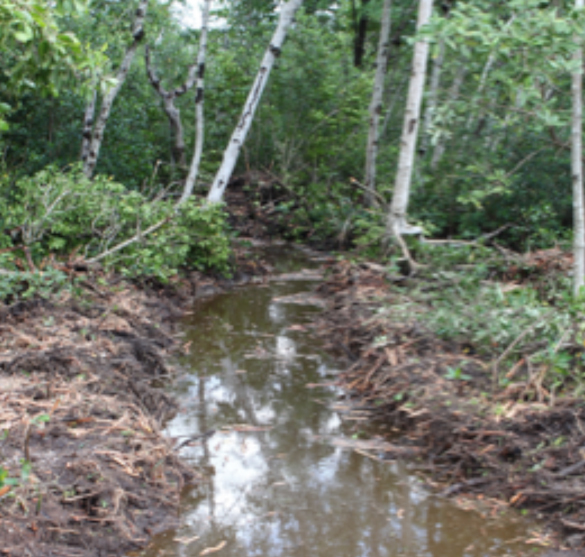 CRG is working on a multi-phase project to restore circulation by removing blockages, reopening drainage channels, and installing culverts with grants from US Fish & Wildlife Service and public and private partners. 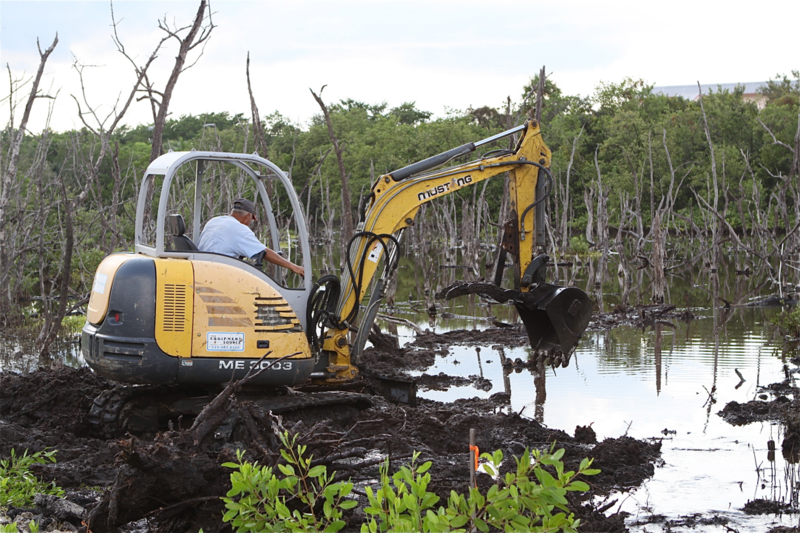 CRG’s hydrological restoration project benefits 225 acres of mangroves between Goodland and Marco Island. 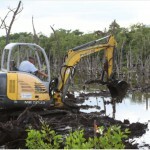 Heavy equipment is used to remove obstacles to tidal flow including fill, vegetation, roots, and debris. 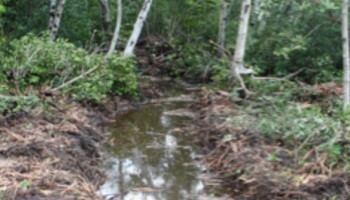 Culverts are installed under roads and channels are reopened for drainage through the mangrove swamp.